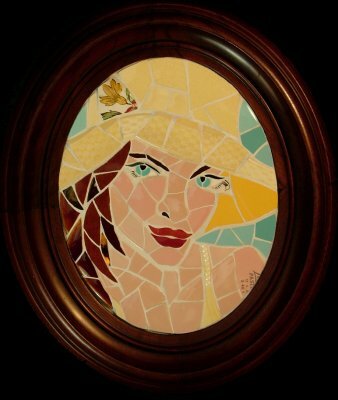 "Jenifer Strachan's pique assiette mosaics are exactly right for no easy reason. This is not something that knocks you out at once, it creeps up in you in a series of small pleasures as you recognize what the artist has done and what she has done it with. In few works of art is the medium so tightly wrapped up in the message."